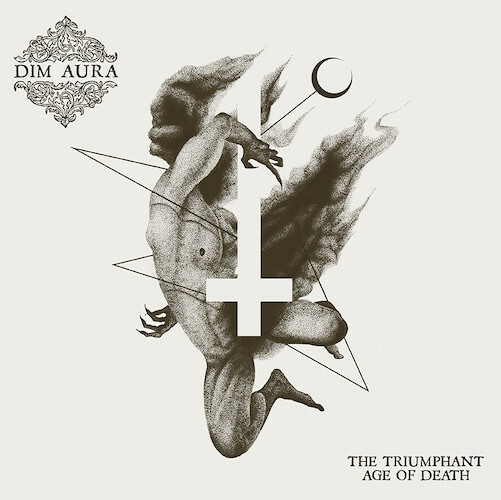 DIM AURA (Black Metal, Israël) sortira son second album, The Triumphant Age Of Death, le 22 mars prochain chez Saturnal Records. Retrouvez le morceau Black Heretic Hate juste ici ! Artwork en grand en détail de la news. &apos;Clockwork Negativism&apos;, &apos;Towards The Plague&apos;, &apos;Black Heretic Hate&apos;, &apos;Blood Boiling Misanthropy&apos;, &apos;Death, Total Death&apos;, &apos;Antinomianism&apos;, &apos;The Triumphant (Age Of Death)&apos;, &apos;The Cruel&apos;, &apos;Mors Vincit Omnia&apos;.